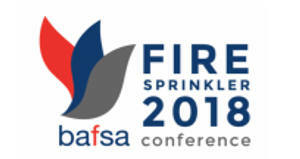 The British Automatic Fire Sprinkler Association (BAFSA) are once again offering an inspiring and dynamic programme at their annual fire sprinkler conference, which takes place at the Marriott Forest of Arden on Wednesday 14th November. Find out more about the event, including ticket prices, and book places here. This is a unique event for the UK’s fire protection and building professionals, which endeavours to address many of the questions raised by the many horrific fires which have devastated families and destroyed communities and businesses in the past year. Keynote speakers include Dany Cotton, Commissioner of the London Fire Brigade (LFB) and David Stewart MSP, both vociferous campaigners for the retrofitting of fire sprinklers in residential tower blocks and all schools. In 2007 sprinklers were made compulsory in all new-build blocks over 30 metres high, but despite the tragedy at Grenfell Tower in June 2017, there is still no mandatory requirement for the retrofitting of fire sprinklers in older blocks. David Stewart, a labour MSP, proposed a private member’s bill to make sprinklers mandatory in all new social housing in Scotland in the wake of the Grenfell Tower fire, which killed 72 people. Scottish Housing Minister, Kevin Stewart confirmed in June that the legislation proposed to make sprinkler systems compulsory in new social housing is to be taken forward. Grenfell Tower fire – where are we now? As well as the hugely topical address from Dany Cotton and David Stewart, the conference will also showcase all of the latest sprinkler technology, products and systems and provide a networking and engagement opportunity for all delegates. The BAFSA annual dinner will be held in the Arden Suite of the Marriott Forest of Arden Hotel & Country Club on the evening of Tuesday 13th November. The hotel is offering a discount to delegates attending the conference for accommodation on both the 12th and 13th November. The hotel is less than 15 minutes from Birmingham International Airport. This is an annual event that should be in the diary of anyone in the fire protection and building industries.